Well, today wasn’t as hungover as the other day (what!? I’m allowed now I’ve finished uni and not in work!). 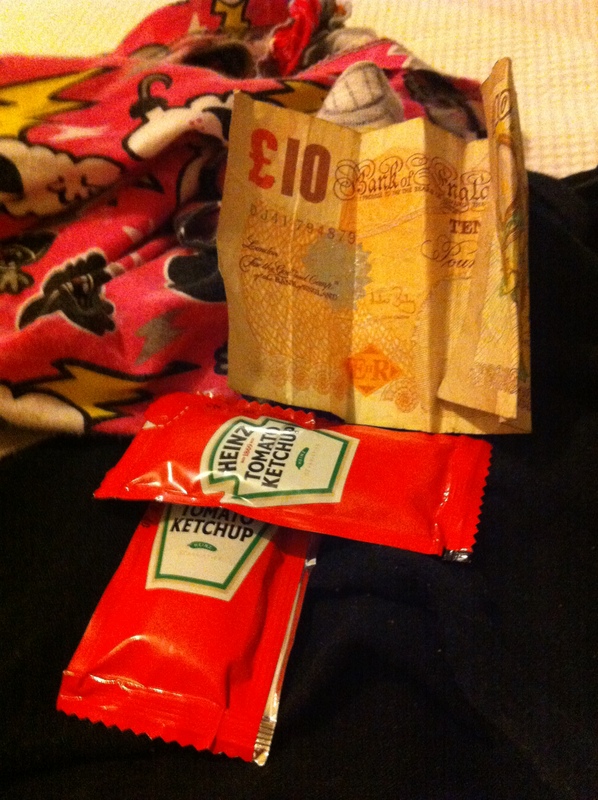 I woke up to find two packets of tomato sauce and a tenner, which is definitely the sign of a good night! Then went out for lunch with my good friend Fi, which was so lovely I forgot to take any photos! 02/07/2012 – Fran’s Back from China!